One consideration when choosing a sprinkler system provider is experience. Here at Commercial Irrigation & Turf, we have all that and more. With 30 years in the trenches plus a focus on continual hands-on training, you get the highest quality service possible. From installation to post-installation maintenance, we give you the best value for your dollar. 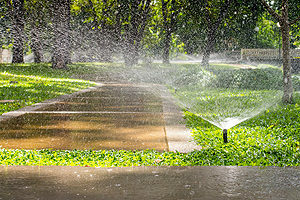 For sprinkler systems Bloomington IL yards and golf courses can thrive on, contact Commercial Irrigation & Turf. You will experience the Commercial Irrigation & Turf difference. Come see why we are your local leaders in commercial, residential and golf irrigation. Because we have your best interests at heart, you will be happy with the results. Our goal is to make your yard lush and healthy, thanks to three decades of experience driving us. Did you know we also offer expertise within our Commercial Underground and Geothermal divisions as well as services for golf courses? And, with systems that come with a full warranty, get peace of mind choosing Commercial Irrigation & Turf. In conclusion, we want you to have a great yard. Call us today. 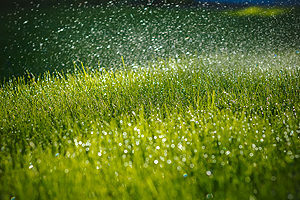 Searching for high-quality, effective, reasonably priced sprinkler systems in Bloomington? You can end your search with Commercial Turf & Irrigation. Just give us a call today at 309-698-3011. Alternatively, complete our online form for more information. We are headquartered in East Peoria at 109 Commercial Drive.